There are different types of suspended toilets, depending on the characteristics of the room that will host your suspended toilet. Each time, the suspended toilet has the advantage of giving a clean and contemporary design to your room. The big advantage of a suspended toilet is that all the plumbing and the tank are hidden behind a formwork. The bowl, less massive, seems to take less space and may be adjusted according to your needs (children, elderly). The maintenance of the bowl is also easier since it is more accessible. So we get both a clean style and ease of maintenance. To find out what type of suspended toilet to choose and how to install a wall- hung toilet, simply identify the nature of the floor and the wall. Depending on the material, you will have to choose a specific “support frame”. The support frame is what will allow you to fix your bowl and hide the faucet behind a formwork. 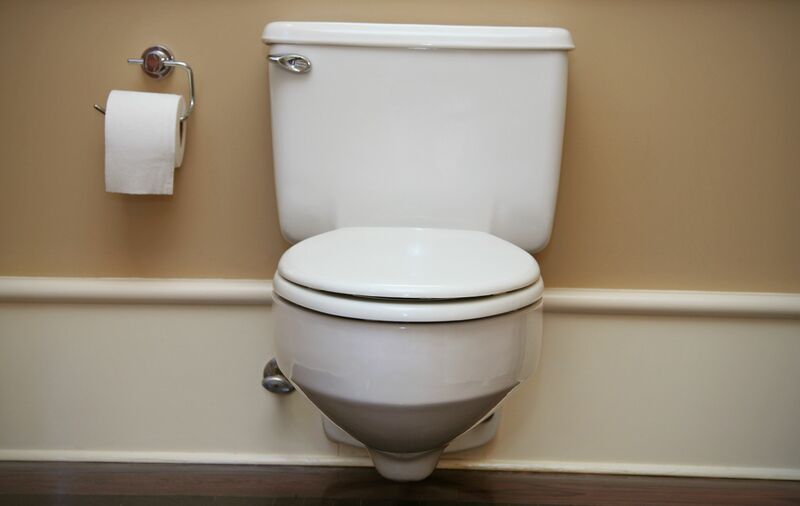 Toilet Installation is a difficult job at times, so asking an expert to do the job is a smart move. The bathroom renovation may seem an exciting task. But before you decide on the latest tile or bathtub choice, there are some fewer fun questions to consider, so that your project is realized as you dreamed. Because, renovating a bathroom, can be a heavy undertaking, taking a lot of time. By following these steps, you will be able to maintain a good rhythm, without any incidents of course and happy with the final result of your bathroom renovation. In case you have not thought about it yet, know that you need to have a general idea of how much you want to spend on the work. Establishing a budget will guide you through the process of making decisions about what to spend, what to take, and what to leave. Once the budget is established, you will subtract the amount allocated to work and then you can set the amount you will spend on tiles, furniture, accessories, equipment, and other extras. Many people think that if their bathroom is smaller the renovation will take less time than for a large bathroom. This is not always the case. It all depends on the number of items to change or renovate and the contractor will tell you, no doubt, that you have to follow the same steps as for a bathroom renovation. Planning your time means not only defining the duration of the work. Also think of all the intermediate stages of cleaning and the different purchases – tiling, layout, sanitary, washbasin, bathtub, etc., being well aware that the delivery takes time and that the workers wait to work. Time planning is also essential for those who have only one bathroom and must make arrangements to take a shower or go to the bathroom during the work. The bathroom renovation requires the planning of the tasks in sequence to be accomplished, during the duration of the works. This will prevent you from getting overwhelmed, cleaning too often, going back on your plan and making mistakes. Whether it’s demolishing or repainting a wall, always start with the ceiling. Redo your ceiling first, then the walls and the floor at the end. So you avoid damaging new installations. Having an expert like Lucas Plumbing do the job will make sure that the job is done correctly.